Under our WelshBiz Welsh Business Marketing Brand, we offer a number of Marketing and Advertising opportunities for Welsh Businesses, Tourist Attractions and Events. Tourism & Event Marketing Agency Wales: Advertising on the Award Winning WelshBiz Welsh Business News Blog and connected Social Media, a Welsh Business News Blog with a DA of 31 and a following of 100,000+ people across social media which is used to drive traffic to the sponsored content. 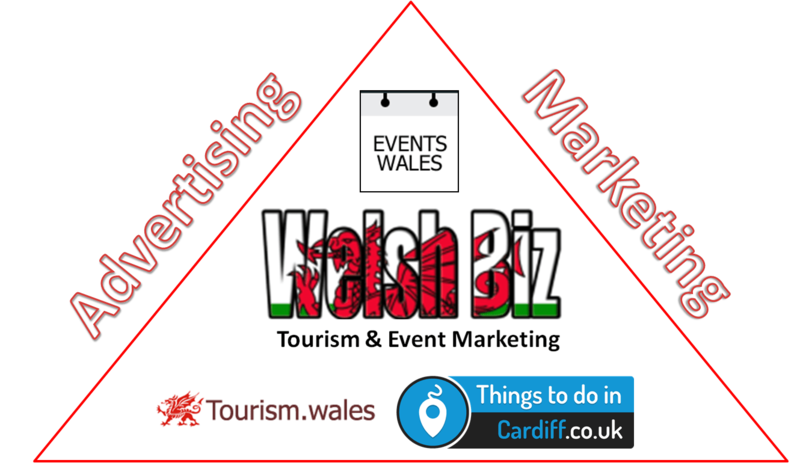 Tourism & Event Marketing Agency Wales: Advertising on the Welsh Events Blog, a Welsh Events Blog with a DA of 22 and a following of 20,000+ people across social media which is used to drive traffic to the sponsored content. Tourism & Event Marketing Agency Wales: Advertising on the Things to do in Cardiff Website and connected Social Media, a Cardiff Attraction & Business Advertising Website and Directory with a High DA and a large amount of visitors due to its high popular keyword traffic and connected site traffic. Tourism & Event Marketing Agency Wales: Advertising on the Tourism.wales Website and connected Social Media, a Welsh Tourism Website which uses pay per click advertising on key search phrases and social media to drive traffic to the website. 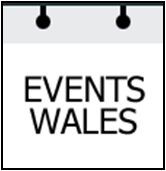 Tourism & Event Marketing Agency Wales: Advertising on the Events.wales Website and connected Social Media, a Welsh Events Website which uses pay per click advertising on key search phrases and social media to drive traffic to the website. Get in touch with our Tourism & Event Marketing Agency Wales? If you are interested in any of the above Tourism & Event Marketing & Advertising opportunities from our Tourism & Event Marketing Agency Wales, or you want to discuss some or all of these opportunities in more detail please download our product and pricing sheet or please call: 07517 024979 or email: maconsultancy1@gmail.com .